An exhibition featuring students at Wellesley College. Gallery hours: Saturday 12/6 and Sunday 12/7, 11am-5pm or by appointment. Please contact howardartproject@gmail.com for more information. 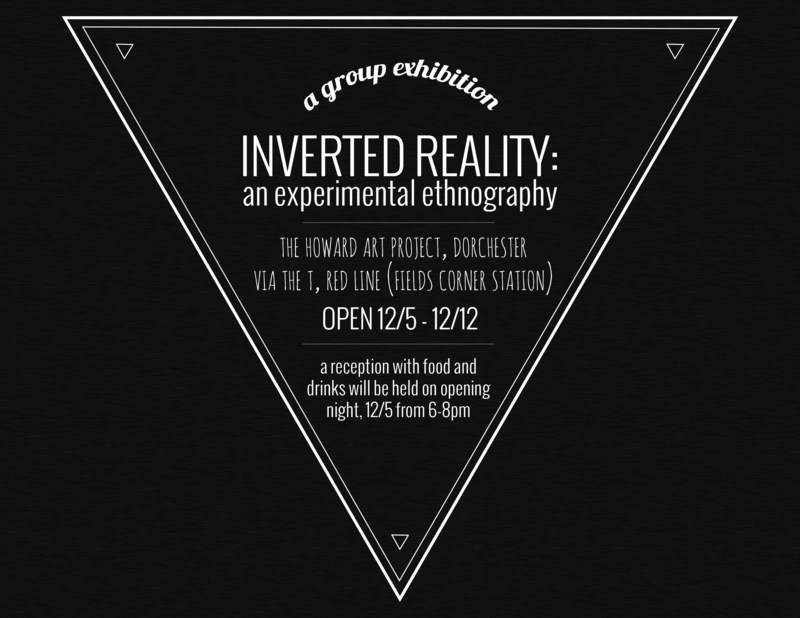 Inverted Reality: An Experimental Ethnography explores the relationship between art and anthropology through ethnography while focusing on film, performance, photography, and sound. Each work examines and critiques the notion of self reflexivity inherent in the practice of ethnography. 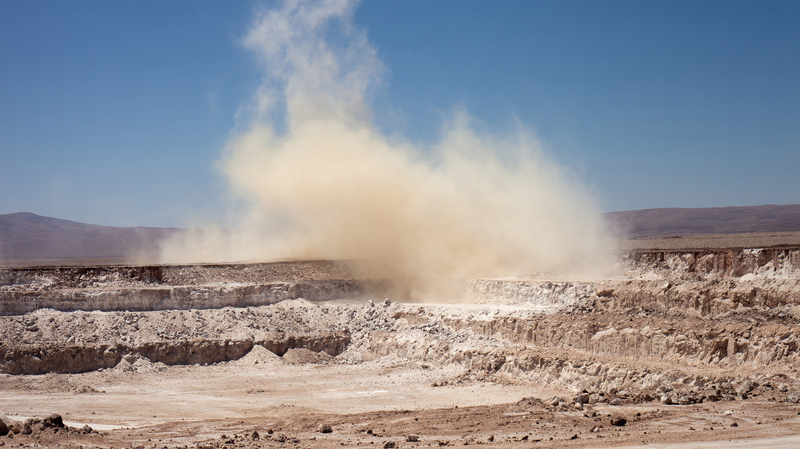 It draws attention to the role the artist plays in their work while also exploring what it means for an anthropologist to represent a culture or social group – questioning the subjective and objective aspect of fieldwork. The artists presented in this exhibit explored this concept of self reflection during the practice of their work, but the works themselves also ask the viewer to question the role of self in art and anthropology. Gallery hours: November 29th, 1:00-5:00pm or by appointment. Please contact howardartproject@gmail.com for more information. In Michel Foucault’s The Birth of the Clinic, he uses the phrase medical regard, or medical gaze, to describe the dehumanizing separation of mind and body created by the power imbalances of the medical industry. First published in 1963, the concepts Foucault deals with in this work still reverberate today in modern medicine. To be a patient with chronic illness is to be a body scrutinized and tested, and a mind often doubted by those trusted to help. So how does a patient create their own narrative to combat the medicalization of their everyday life? In Performing Illness, three contemporary artists dealing with chronic medical conditions use data, repetition and ritual to redirect the gaze of the viewer and make meaning of their lived experiences. Jodie Mim Goodnough uses photography, video, performance and sculpture to examine the various coping strategies we employ to find comfort in an often uncomfortable world, from religious rituals to pharmaceuticals and everything in between. Jodie attended the photojournalism program at the Salt Institute for Documentary Studies in Portland, Maine and received her MFA from the School of the Museum of Fine Arts, Boston in May 2013. Suzi Grossman is a visual artist whose recent works use repetition and ritual, combining photography and painting, to create a visual record of an unseen physical experience, that of chronic pain. Suzi received her BFA from the School of the Museum of Fine Arts, Boston and her BA in English Literature from Tufts University in 2012. Rosie Ranauro uses simple line drawings to tell a story of a body living with chronic pain. The figures shift, contort and multiply, creating diagrammatic images that hint at both the physical and psychological implications of chronic illness. Rosie received her BFA in Painting from Massachusetts College of Art and Design in 2012. 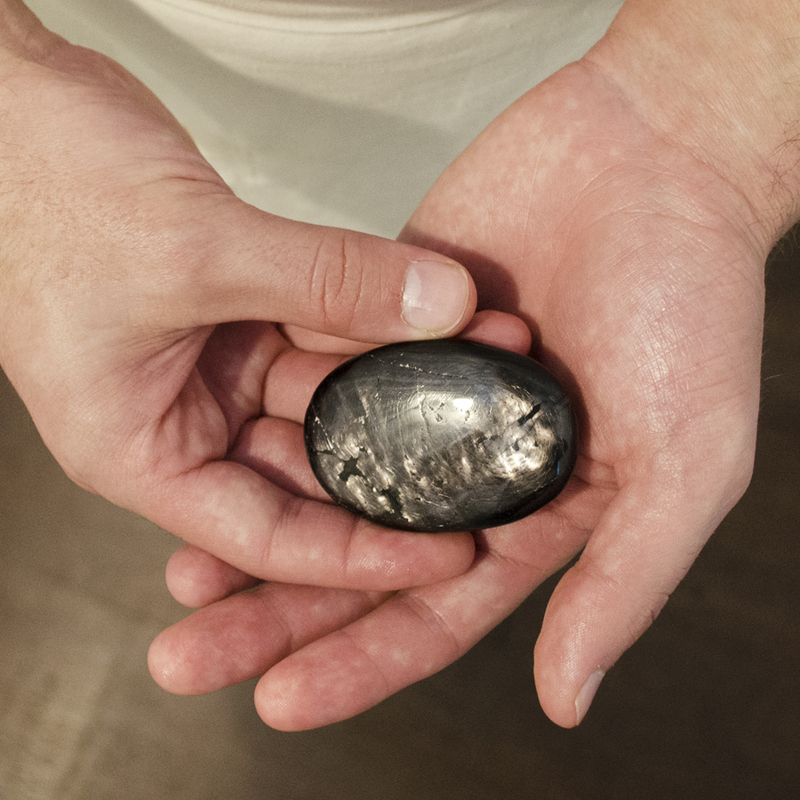 Artist Daniel Embree will look into a seer stone for 8 hours in an attempt to have a vision. He will dictate what he sees to volunteer scribes, who will document the experience on paper. 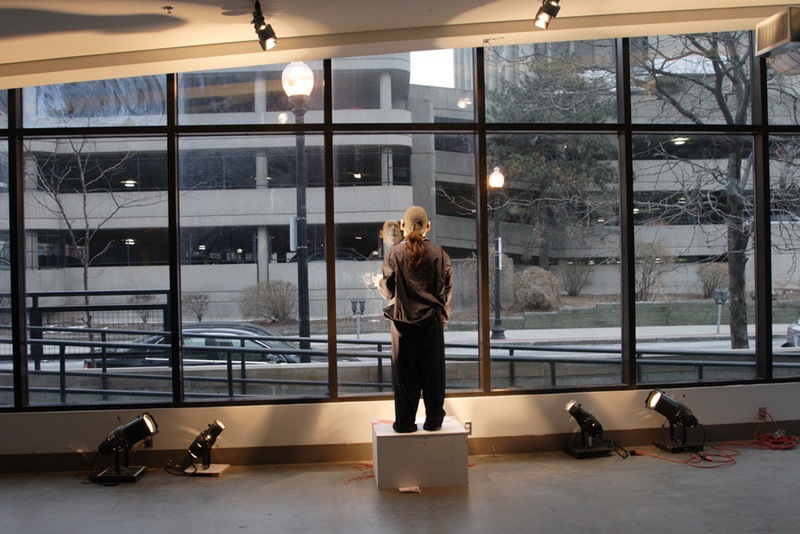 The artist is looking for participants to sit with him and write his dictations in a one-on-one interactive performance. This is a unique opportunity to be an active witness in a live performance art event. No experience or special skills are necessary. Volunteers can sign up for a 15- or 30-minute session by visiting dembree.com/seer/. As the schedule permits, walk-in participation is welcome, but advance registration is recommended. ￼The entire 8-hour performance will be open for viewing by the public. ￼Scrying, or looking at a stone or mirror to receive a revelation, is a practice that dates back hundreds of years. It was practiced by popular magicians like John Dee, and it was common in New England at the beginning of the 19th Century. Joseph Smith, the Mormon seer and prophet, produced The Book of Mormon and other key religious documents by looking into a seer stone and dictating to a scribe. By appropriating this process, Daniel Embree is examining the foundation of his religious heritage.This is part of an ongoing quest to discover what it means to be inspired–a word attributed both to artists and spiritual seekers. The scribe plays an important role as a witness and recorder of the action, expanding the conversation about the documentation of contemporary performance art. Daniel Embree is a Boston-area artist who uses images, texts, and actions to explore personal and community narratives. He received an MFA in studio art from Tufts University in 2013 and a BFA in studio art from Brigham Young University in 2009. Perma-F(r)ail: Personae Documents is an original group exhibition curated by Jessica Borusky. Perma-F(r)ail: Personae Documents brings together work by artists from around the country who use video, writing, performance, photography, and changing installation strategies to explore personae in new, provocative, and ultimately, ephemeral ways. Based on closed circuit television (CCTV) from anonymous global sources, “Closed Circuit” examines the ubiquitous state of Big Brother’s watchful eye. Just as the footage—taken from hotels and airports and parking lots and elevators—possesses an air of anonymity, so do the subjects, who are reduced to faceless projections. 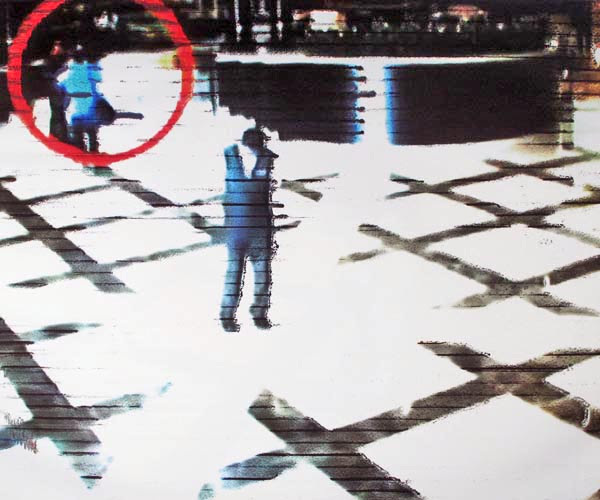 The closer the CCTV zooms in, the less concrete information remains. Shadowy bodies float through glaring spaces: they could be anyone doing anything, any where at any time. Yet the very process of singling them out, sometimes with a red target for emphasis, gives their mundane behavior a sinister tint. Recorded, ID’d, processed. tagged. Who can keep their heads above the deluge?